55FN overcame the minefields of Mariehamn (cyclists and a lawnmower!) to explain why he’s undertaking his challenge to experience a top division league match in all 55 UEFA nations in one season. 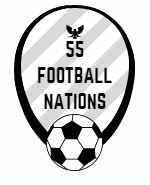 55 Football Nations is about experiencing different football cultures. It’s also about embracing different mediums. A YouTube channel could be next!